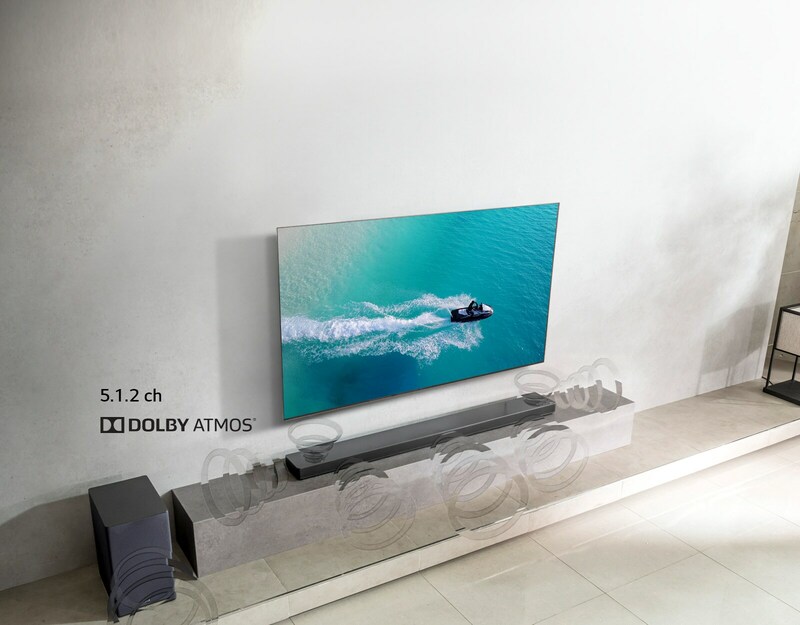 Bring the Dolby Atmos Cinema experience home with you. 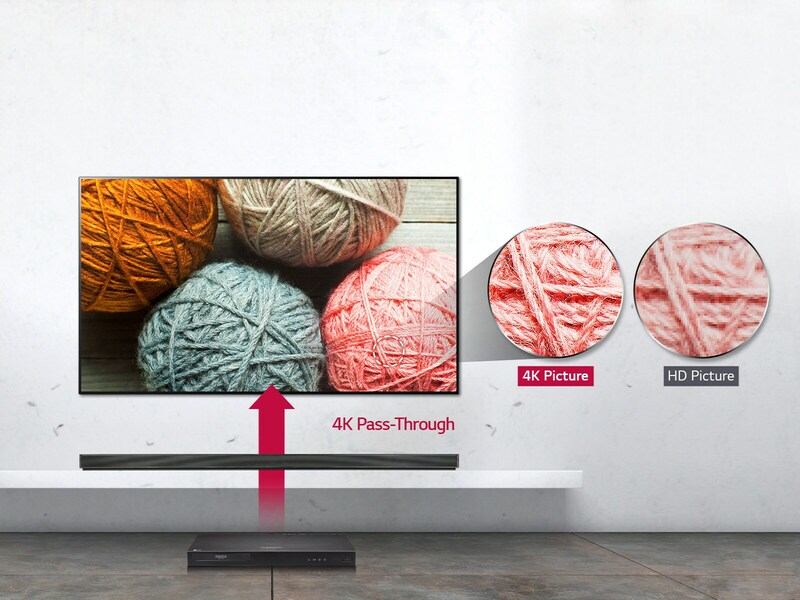 LG's SK10Y 5.1.2 Sound Bar delivers a fully immersive Atmos experience to your home. 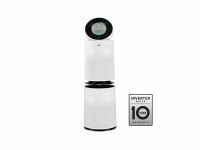 It also has the ability to adjust the volume of the up firing speakers and even add wireless rear speakers. Digital music has gone audiophile, with higher sampling rates and bit depth which can contribute to a more accurate, more enjoyable listening experience. This Hi-Res certified Sound Bar can play back lossless stereo audio at up to 192kHz/24-bit quality. 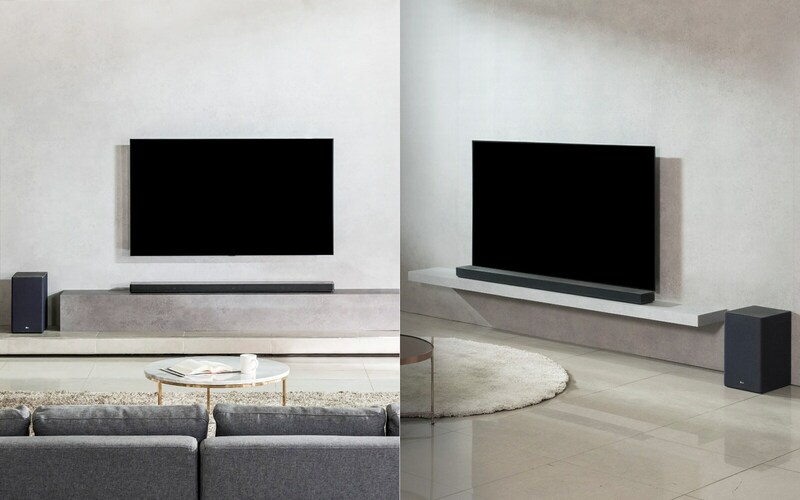 The elegant design of SK10Y beautifully matches the 65-inch LG TV and naturally blends into your modern interior space. 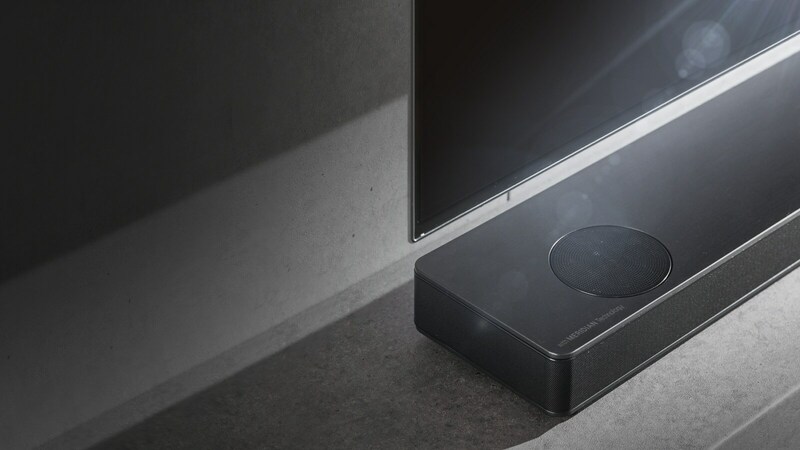 Create a cinematic experience to your home entertainment with a fully integrated solution. 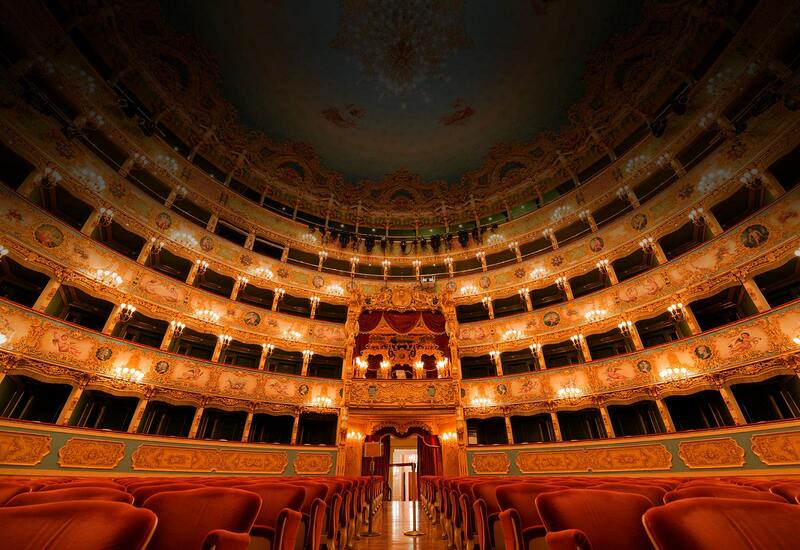 Immerse yourself in rich, uncompromising sound. 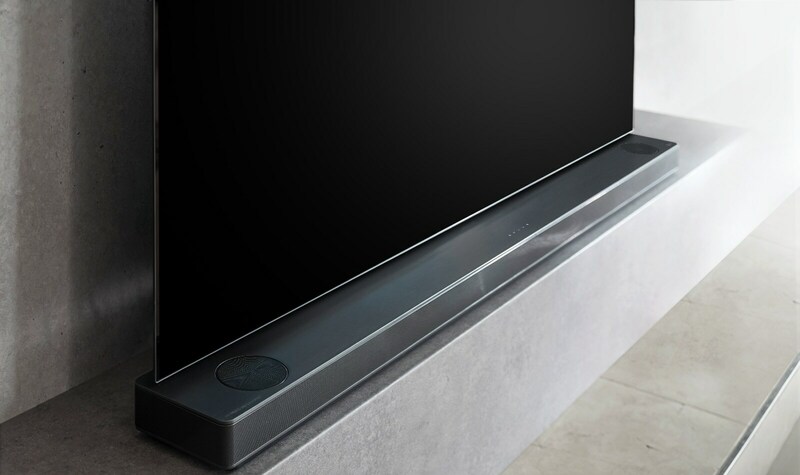 LG Sound Bar SK10Y features Meridian's advanced 'Bass and Space' and 'Height Elevation' technologies to deliver an exceptional listening experience. 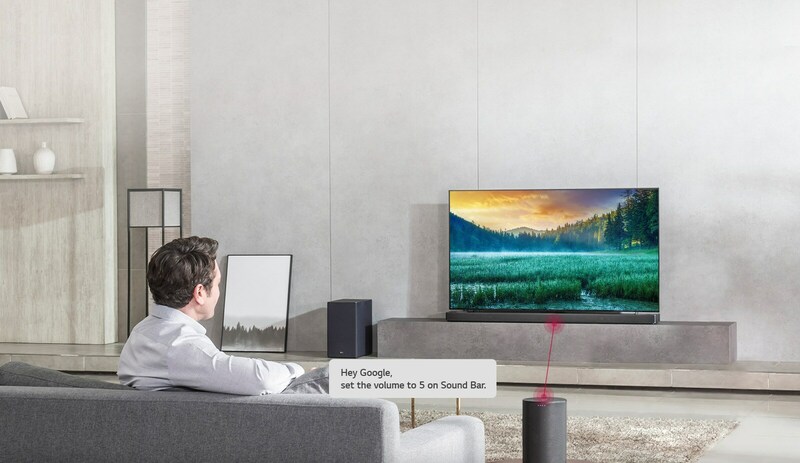 You can play music, skip tracks,and adjust the volume on your Sound Bar with your voice. 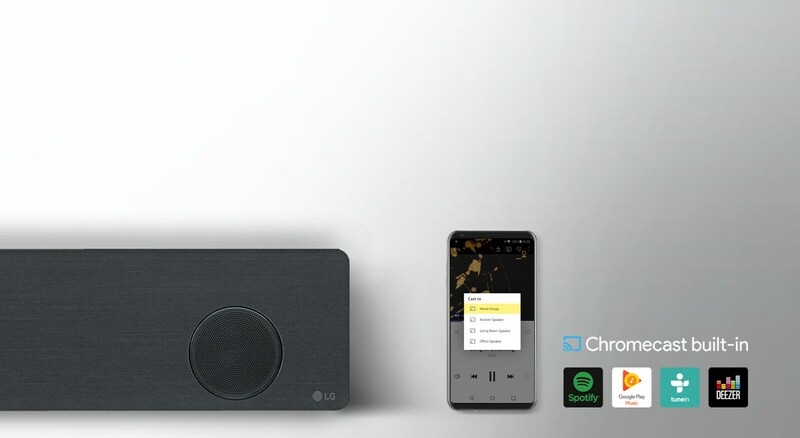 You just need another device with the Google Assistant built-in — like the LG ThinQ Speaker. Stream music wirelessly to the Sound Bar from popular apps* like Pandora and Google Play Music. Chromecast built-in works seamlessly with smartphones or tablets, etc. 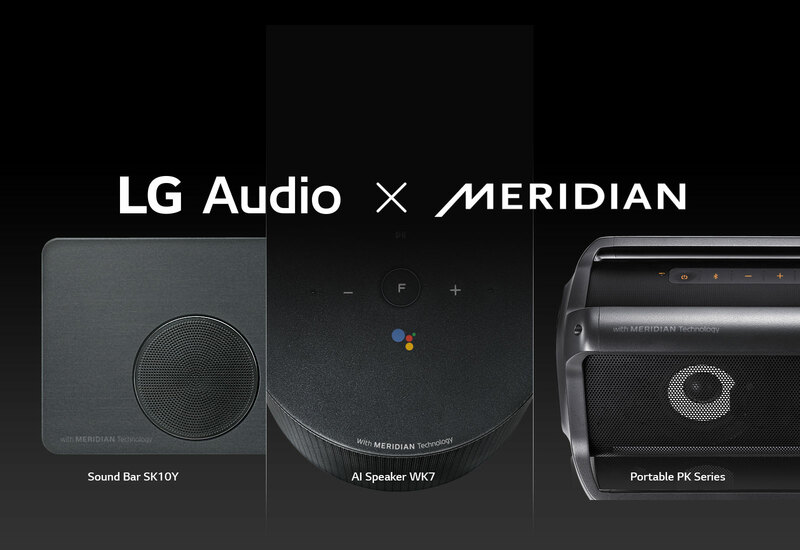 Also, devices with the Google Assistant built-in — like the LG ThinQ Speaker — can stream music to it and other Chromecast audio devices throughout the home. 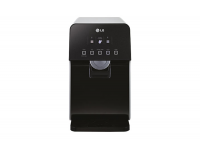 Its sleek design blends in perfectly with your beautiful modern interior. 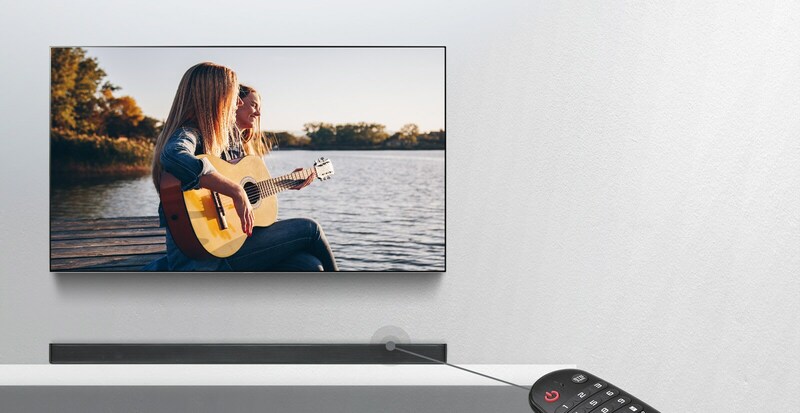 LG Sound Bar comes with its own remote but it can also be controlled with your own TV remote*. *TV remotes of LG, Sony, Philips, Sharp, Panasonic, Vizio, Toshiba and Samsung can also control your LG Sound Bar.